William Michael Albert Broad(born 30 November 1955), known professionally as Billy Idol. He is an English musician, singer, songwriter, and actor. 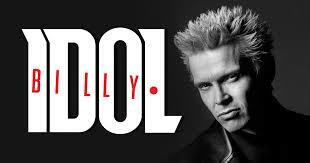 The name “Billy Idol” was inspired by a school teacher’s description of him as “idle”. British singer Billy Idol rose to fame in the 1980s. His rising fame was on the strength of studio efforts like ‘Don’t Stop’ and ‘Rebel Yell.’ British singer who performed with many punk bands, as well as having a successful solo career. He was one of the earliest MTV stars, known for songs like “Dancing With Myself.” He first became known after performing with the band Generation X. He lived with Perri Lister and had a relationship with her in the 1980s. They had a son, Willem Wolf Broad, on June 15, 1988. He also had a daughter named Bonnie with Linda Mathis in 1989.